The 28th Associations' World Congress (AWC) was organized in 2019 in Gothenburg/Sweden. Behind the Association of Association Executives (AAE) are 24.000 members and subscribers located in Europe, Africa, India and other countries/regions. 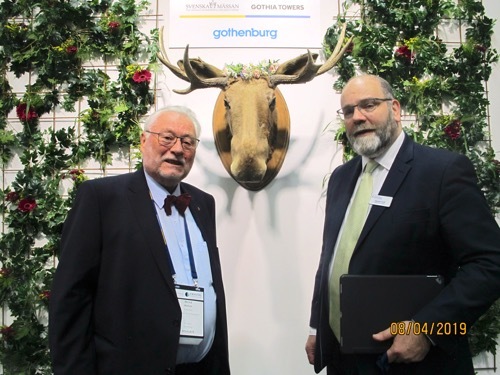 Prof.Dr.B.Hallier (at the photo together with Damian Hutt/Executive Director of AAE) praised the Swedish hospitality and the excellent opportunity to learn beyond the borders of the own sectors like in Gothenburg for example by case studies presented by the Volvo Group/Paul Welander or the Nobel Media AB/Laura Sprechmann. 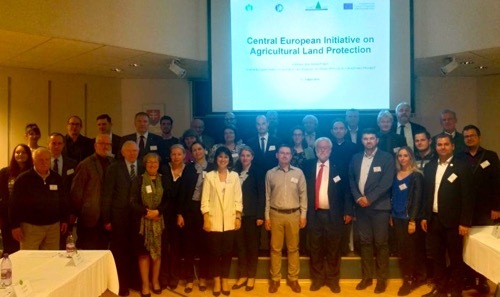 Under the leadership of the Faculty of European Studies and Regional Development of the Agrarian University of Nitra/ Slovakia and co-funded by the Erasmus+ Program of the European Union a conference focused the topic "Land Protection" (see also european-retail-academy.org/TUN). 10 countries presented in 21 contributions the status quo of the legal frame to use land and discussed the relationship between land for food, forestry, tourism, and the other sectors of human life. Prof.Dr.B.Hallier presented his holistic trias of economics, ecology and ethics and underlined that "the factor land" should not only be evaluated in terms of economic output, but should include in a formular also the UN-sustainability goals and the fair distribution between the different social groups - even globally. One point in this concept could be the trans-formation of a percentage of farmers into "landscape rangers" to preserve historical landscapes and to work for anti-climate change activities (full lecture: Download). 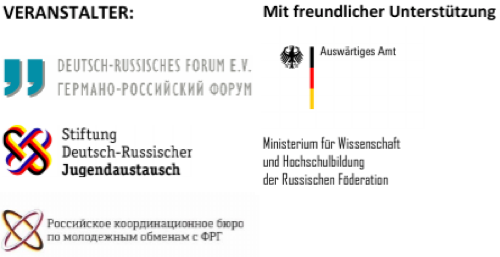 In 1987 the first institutionalized conference for German/Russian twin-cities was organized in Saarbrücken/West Germany and followed in 1989 by Almaty - at that time still part of USSR, today Kazakhstan. For Prof.Dr.B.Hallier these meetings of administrations and civil society are excellent platforms to deescalate potential conflicts between East and West and to create new cultural partnerships. Being himself AIESEC-trainee in Turkey, Israel, South Africa and Japan between 1969 and 1974 Prof.Dr.Hallier is pointing for the young generation to today's possibilities by the Bologna-process even to study abroad and to gain foreign experience: "Cotrugli is for example at the moment awarding a total of 20 scholarships for MBAs and Executive MBAs in Serbia ..."
..."and organized by Circle International and the University of Vitez/Bosnia-Herzegovina MBAs and PhDs are offered in a mainly virtual college with the additional flavor of international annual conferences to present the papers" (Download flyer) he explained in an interview. 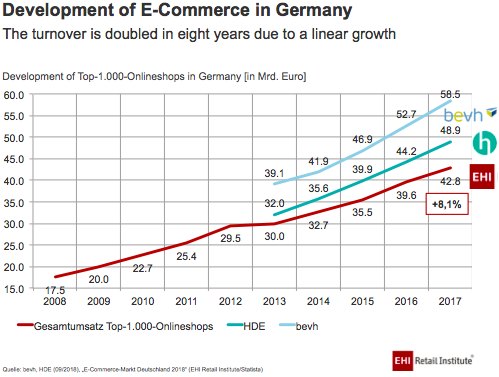 The Cologne based EHI Retail Institute has analyzed the Top 1000 e-commerce shops of Germany. While in the Chart below bevh-data about the total market includes all e-commerce turnover (for example also tickets), HDE shows the trade-volume ordered; EHI deducted from the ordered sales the resent stuff and therefore according to Prof.B.Hallier reflects the real trade volume best.